Tell us about your project and we'll get back to you shortly. If you’re needing to furnish an entire house quickly and have a modest budget or if you are simply looking to acquire an eclectic mix of pieces, buying used or vintage furniture can be a great solution. 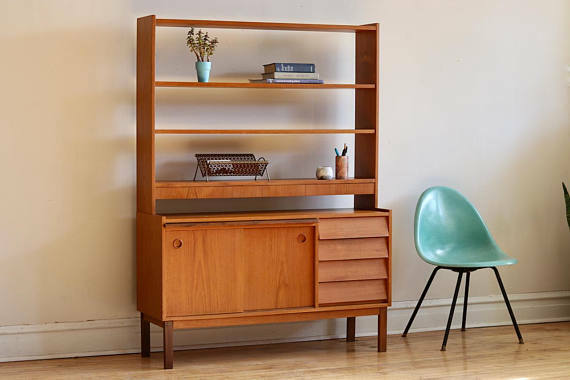 In the Portland area, we are blessed with many great sources for vintage modern furniture, ranging from shops that sell designer pieces to those that stock a wide array of pieces at a lower price point. Sometimes a design or plan calls for a very specific piece of furniture. And in that case there are excellent options like Design within Reach, EWF Modern, Sitte Modern etc… But if your needs are a bit more open-ended and you’ve got a bit of time, then searching for vintage pieces might be a good bet. You like the idea of having furniture of mixed periods, materials, and perhaps styles. You enjoy hunting for great pieces of furniture, even though it takes time. You’re pretty good at picturing what a piece will look like in your home. You predict changing homes soon and don’t want to invest heavily in furniture that might not fit your future needs. You’re willing to take a chance and make a mistake or two. Before sharing sources for vintage modern furniture – and inviting you to share yours – we’ve got a few tips for successful shopping. Before you head out, identify a few key needs and focus on finding those. If your focus is too broad it can be overwhelming. Measure key dimensions in your home and bring a measuring tape with you. This will help avoid disappointment when you get home. No one wants to discover that that your new bookshelf blocks the molding or that you can’t fit a table through a doorway. Take some photos of your room and have them with you on your phone. This can help you assess how the color and form of a potential new piece will mesh with what you’ve already got. Restraint is key to avoiding vintage shopping regret. Try walking away and returning 15 minutes later. Does it still look as good? Can you imagine using this piece in more than one room or context? If the answer is no, you should be pretty sure before purchasing. If this piece of furniture is a project ( for example, it’s missing a leg or needs to be refinished) be honest with yourself about your skill, capacity, and will for such work. Vintage shopping is a great way to experiment. There are plenty of pieces out there. Have fun learning the lay of the land and discovering more about your own tastes. What follows is a partial roundup up some Portland area sources for vintage modern furniture as well as a few internet sources. Our list skews heavily towards mid century modern. We invite you to share your favorites and let us know what we’ve missed. Thanks and happy shopping. Happy searching and please let us know your favorite sources for vintage modern furniture. We’re sure to have missed some great shops.